For member access to the current issues published by Springer, go to the 'Member Access Page' button. 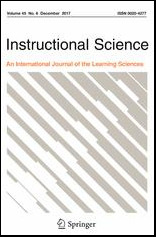 Instructional Science is an interdisciplinary refereed scholarly journal aimed at promoting a deeper understanding of the nature, theory and practice of the instructional process and of the learning to which it gives rise. The journal’s conception of ‘instruction’ is broad-based, recognising that there are many ways to stimulate and support learning. Papers published in recent years represent a wide variety of perspectives from the learning sciences. The journal covers learning by people of all ages, in all areas of the curriculum, and in informal as well as formal learning contexts.